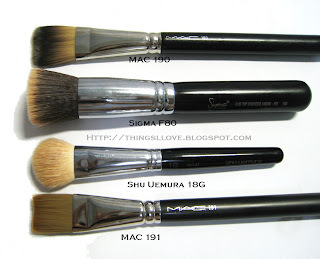 I LOVE Shu Uemura brushes, the quality is absolutely amazing. So far I only have the concealer brush but I certainly want to get more! I'm almost inclined to say they are the best brushes on the market, but I'd want to try a good number of them first, if only they weren't so incredibly expensive @_@ Makes it hard on my hip pocket to collect them >_O I think you've convinced me this foundation brush is next on the list! WOW - only $39 - that's a pretty good price for a great brush. Damn - now I want one too! 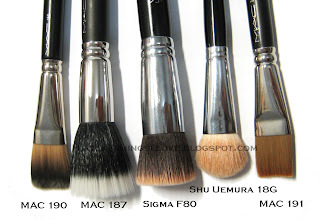 Got a Sigma brush order on the way....maybe there'll be something in that order similar enough to it. I dislike the flat foundation brushes I have - they leave streaks as you commented. 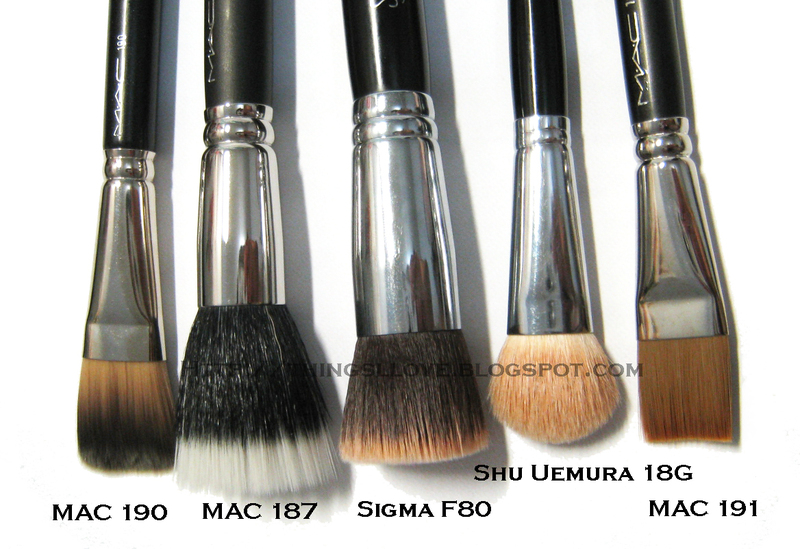 I do like a good kabuki brush though :) yet to try with liquid foundations - only mineral ones. @Melbournite - The price isn't cheap but add tax and to get it to Australia, it started to become dear. I have a sigma order on the way too. I got a premium travel brush set for when I'm travelling next year and for short trips. Can't wait to do reviews on those when I get to use them properly. Another good Japanese brand for brushes is Hakuhodo. Try it. They are absolutely soft and amazing. And well priced. @anon - I absolutely agree with you about Hakuhodo. I recently had a chance to play with all their entire range when I went to IMATS makeup trade show. Ended up with 5 of their brushes back home with me... and lots more on my wish list. If I could start all over, I'd ditch MAC (except their MAC 217 and 226 brush, love those) and just stick with selected brushes from Bobbi, Shu, Stila, NARS and the rest would all be from Hakuhodo. They are absolutely amazing. watch out for reviews on them on the blog in the next few weeks! I about to get this brush because of you. Your review are so clear. Thank you so much. 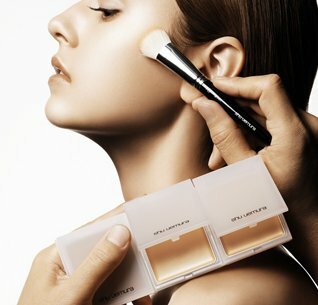 For me, my idea about the foundation brush is same like you. 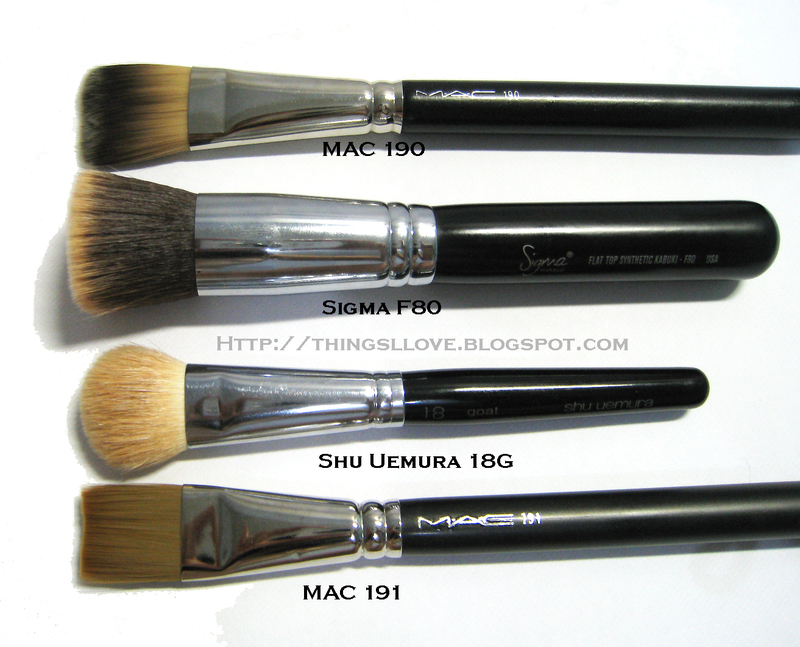 I like the brush like sigma F80 or 82 that make my life much easier with the foundation and now I see this shuuemura bursh and i know it will working amazing for me too. Thank you very much. 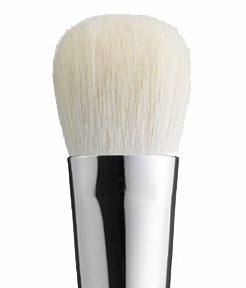 I bought a shu uemura goat 18 foundation brush in Dublin a few weeks ago, price €53 65. It applies foundation very nicely but in my opinion, it has one major flaw which is every time I use it, it sheds at least 3-4 hairs. I do not like this as other top quality brushes that I have had for years do not do this so I will probably return it, a bit disappointing for such an expensive brush.